The Social-Engineer Toolkit has over 2 million downloads and is aimed at leveraging advanced technological attacks in a social-engineering type environment. TrustedSec believes that social-engineering is one of the hardest attacks to protect against and now one of the most prevalent. The toolkit has been featured in a number of books including the number one best seller in security books for 12 months since its release, “Metasploit: The Penetrations Tester’s Guide” written by TrustedSec’s founder as well as Devon Kearns, Jim O’Gorman, and Mati Aharoni. The next major revision of The Social-Engineer Toolkit (SET) v6.5 codename “Mr Robot” has just been released. 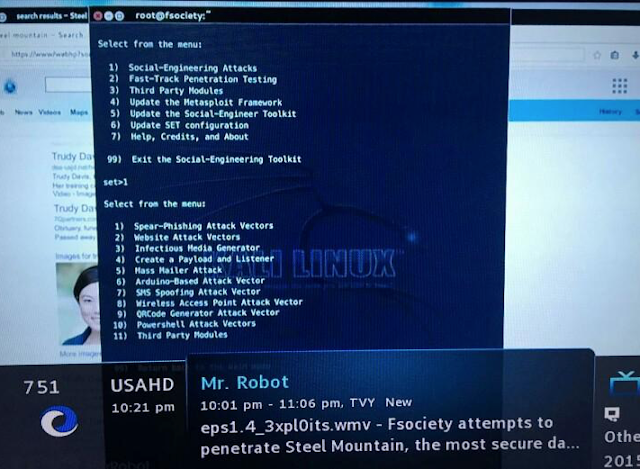 The codename is in celebration of the TV show Mr Robot featuring SET last night! Kudos to them for having some amazing tech writers and appreciate the shoutout on the show. Additionally, SET added a lot of the new exploits including the hacking team adobe zero-day, and others from Metasploit.